Architura’s principal, Michael Conly provided preliminary design services with the team members for new additions to the secure care wing for corrections patients and a new facility for hazardous, communicable desease control. 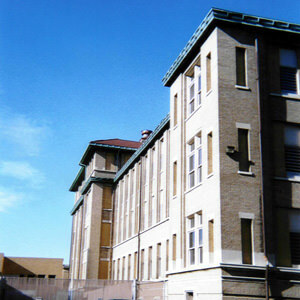 Careful attention was given to the design to maintain the look and feel of the surrounding campus. Design of secure care wing for inmates and detainees needing health, care that have been transferred in from State and local detention facilities. Fundamental changes of the physical environment were necessary, so that the caregivers and the resources that support them are set up for enabling safe, secure care. Preliminary design of wing for general in-patient care. Continuing Wishard’s long track record of excellence in patient care, the unit was designed solely with the patients well being and comfort in mind. Preliminary design for sexually transmitted disease clinic and treatment center. 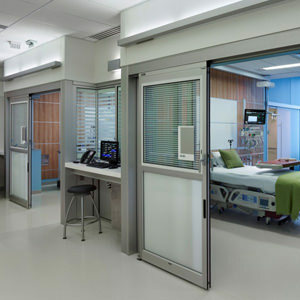 The design provided a unique opportunity to use current and emerging technology to improve the physical environment in which nurses and other caregivers work, and thus improve both nurse and patient outcomes.